Here is your chance to build that special home or multi-family home. This is very rare to find a lot this size in Pinellas County. 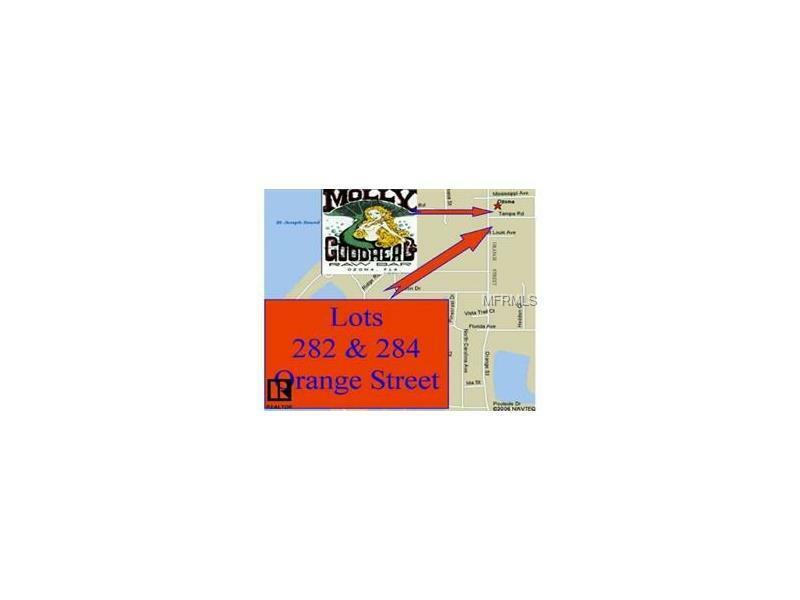 Lot size 107 x 300 – 2 lots, buildings inhabitable. This property would be great for a single-family home site, duplex or triplex. Possibly Exclusionary Zoning available on a one-to-one basis with County. 282 and 284 Orange St. front is 107 ft and goes back 300 ft. Almost ¾ of an acre. Ozona is a small community located on the west-central coast of Florida. The area of Ozona is about 775 households, located in the northern unincorporated area of Pinellas County, west of Alternate 19, and north of Curlew Road. Tampa Road leads directly into and, in fact, originates in Ozona. It hugs the Gulf of Mexico south of Tarpon Springs and north of Dunedin and Clearwater. Ozona is the very definition of eclectic. With multi-million dollar mansions sitting next door to tumble-down beach shacks; from out-of-the-way dessert shops to some of the greatest restaurants in Pinellas County; we have that perfect mix of work and play that makes for a place you're happy to call "home". Close to grocery stores, pharmacy, boat docks, churches and one of the best rated High Schools in Pinellas County, Palm Harbor University High School. Golf Cart accessible with an Annual Holiday Golf Cart Parade that has over 100 entries; near bike trail and minutes from Honeymoon Island and Caladesi #1 Beach in Florida.